It's fun to dress up and spend an evening playing poker or blackjack on a cruise ship -- but did you know that avid play could net you free drinks, dinner or even cruises? Whether you're a fan of slots or table games, many cruise lines reward travelers who spend a lot of time -- and money -- in the onboard casino. You can also get invited to exclusive-access tournament cruises, where prizes could be as much as $100,000. 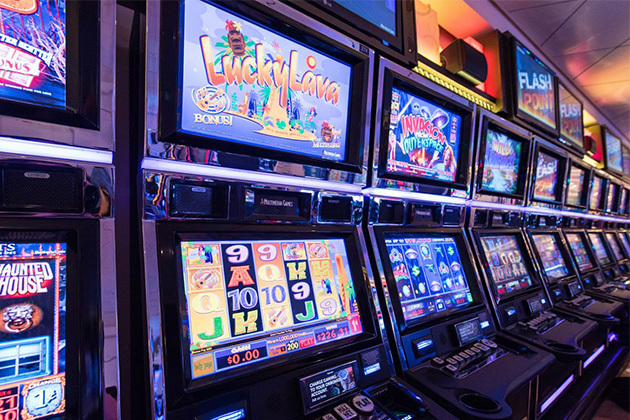 While Cruise Critic wouldn't recommend gambling as a financial strategy, cruise casino fans should know how they can leverage their play into all sorts of free perks. Book a cruise, come aboard and find the casino. 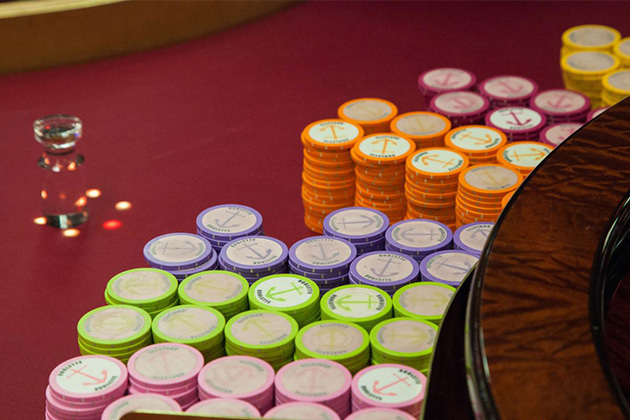 Ask the casino manager how to join the players club. On Norwegian Cruise Line (and sister lines, Oceania Cruises and Regent Seven Seas), you can sign up at the casino and receive a Casinos at Sea players club card. For Carnival and Royal Caribbean, you're automatically entered when you put your key card in a slot machine; table game players should present their card to the casino supervisor or host and ask to be rated on their play. Your player number will automatically attach to your onboard account on any cruise you take. Once you start racking up points, the perks will start rolling in. With Norwegian's Casinos at Sea program, you reach the Pearl level at 5,000 points and receive complimentary house drinks in the casino, treats delivered to your cabin, and food and beverage credit. Reach the Sapphire level at 15,000 points and you'll get priority disembarkation and complimentary premium drinks in the cruise casino. And just like with a frequent flyer airline program, the points you earn not only gain you VIP status, but they can be cashed in for onboard perks like spa treatments, specialty dining and shore excursions. 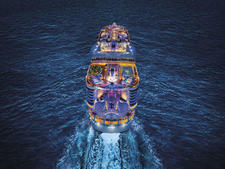 Royal Caribbean also lets you earn points toward rewards and prizes. The four-tier Club Royale program starts with stateroom credit and instant reward certificates at the Choice Level, with higher levels earning perks like complimentary drinks, discounted or free Wi-Fi packages, and waived (5 percent) convenience fees normally charged for casino credit on your SeaPass or credit card. Serious players in the top Masters tier are entitled to priority seating in the entertainment venues and priority dining reservations, as well as access to Suite class lounges and dining rooms. Carnival's revamped Player's Club program includes "Dealers Choice" offers that may include complimentary drinks in the casino or discounted onboard amenities. Club members may also book special cruises designed with casino lovers in mind. Players Club cruises include perks like free casino drinks, stateroom treats, priority check-in and luggage delivery, and welcome amenities. The select cruise packages are divided into four progressive tiers, each requiring a higher level of past play for booking. You can easily check your status and access to Dealer's Choice Awards and Player's Club cruise packages with your past guest (VIFP) number at the Carnival Player's Club website. 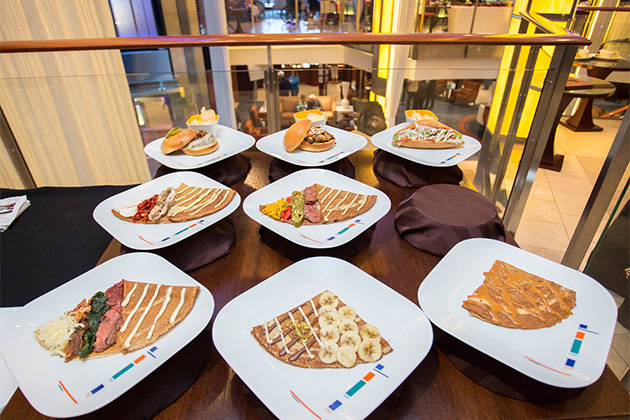 Celebrity Cruise's Blue Chip Club puts all the cards on the table with clear details regarding how points are earned (one point for each $1 wagered on slots, $2 on video poker and $8 on table games). Onboard rewards range from beverage and Wi-Fi packages to prepaid tips at the Ruby level (highest of the program's five tiers). Cruise ship casino frequenters who are loyal to a cruise line can also qualify for comped or discounted cruises. This can happen in multiple ways. Direct mail or email offers are quite common. Players club members will receive an invitation to book select sailings departing within the next nine months to a year at a discounted rate. Comped cruises might be for inside cabins with the option to pay a reduced rate to upgrade, or they might be for a higher-category cabin to start. 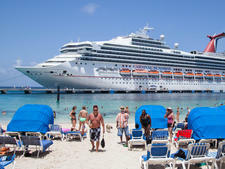 Generally, cruise lines cover the base cruise fare and only charge taxes and fees and service charges/gratuities. 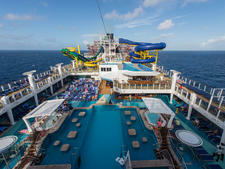 Note that neither Carnival Corporation lines nor Royal Caribbean Cruises sister lines share a player's club; however, if you're an avid cruiser of either and want to try out another line within the same corporate family, you can contact the club where your points have accrued and ask about a comped or discounted cruise on a sister line. Royal Caribbean's program includes discounts and free annual cruises beginning at the Prime level (2,500 points) with a complimentary inside cabin. Signature level members (25,000 points) earn a balcony cabin and the top-tier Masters players are entitled to a Grand Suite on the house. The company does not provide details on how points are earned, but the Masters level required to get that Grand Suite begins at 100,000 points. Remember, points accrue during a 12-month time frame and do not carry over to the following accrual period. Free cruises with Celebrity begin at the Amethyst level (25,000 points), and are awarded based on the level of play. Discounted cruises on Norwegian begin at the Pearl level (5,000 points) and on Oceania and Regent Seven Seas at the next tier up, requiring 15,000 points, with points accruing across the lines interchangeably. Cruise lines that do not offer a clear path to earning free cruises may still award them for high levels of casino play on a case by case basis. It depends greatly on cabin availability, often in the next few months. In this scenario, the casino host may pull you aside, congratulate you on your eligibility for a free cruise and discuss available options with you, or you may receive the offer by mail or email. 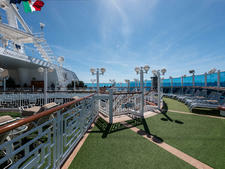 Once you're a recognized player in a cruise line's club, you will also get invitations to exclusive tournament cruises. (Alternately, you can call up the line and see if they will extend an invitation to you for these special events, based on your previous onboard play.) Tournament cruises generally take place on sailings out of U.S. homeports on itineraries with a healthy number of sea days, when people can be onboard to play. Some tournament cruises combine fun events with tournament play for invited guests. For example, Norwegian's Annual Golf Classic cruise includes 18 holes of golf at Bermuda's Port Royal Golf Course plus entry into a blackjack tournament. Its Halloween event features a slot tournament (win your share of $20,000) plus a costume contest and beach party. Royal Caribbean also hosts golf tournaments open only to club members, as well as $15,000 slot tournaments and $25,000 blackjack tournaments on select sailings. Carnival's Ultra level invitation-only cruise packages offer a range of VIP onboard perks as well as a chance to win $100,000 in cash and gifts. Three lucky winners on each Ultra cruise also get to meet Shaquille O'Neal -- now that's a special event. Can I Play Bridge on a Cruise?